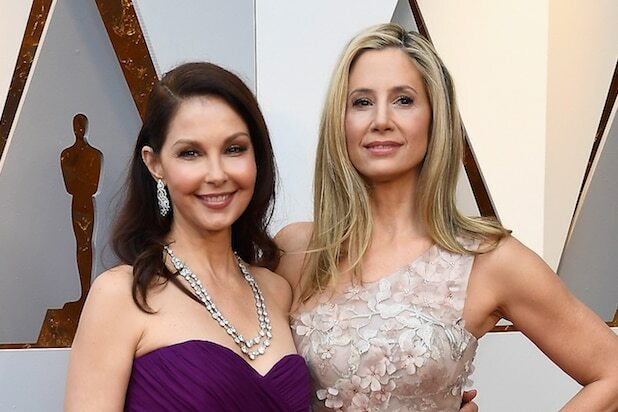 Ashley Judd and Mira Sorvino stepped out on the Oscar 2018 red carpet on Sunday, posing together in solidarity just a few months after a powerful Hollywood director said Harvey Weinstein tried to derail both of their careers. In a year of the Time’s Up and #MeToo movements, which have come in the wake of dozens of accusations that have come out of Hollywood after a slew of sexual misconduct allegations against Weinstein, the presence of the two actresses was a decidedly symbolic. “This movement isn’t stopping,” Sorvino declared in an interview with ABC on Sunday. As the red carpet winds down, it’s worth noting that the two appeared to abstain from speaking with Ryan Seacrest — who himself is at the center of a sexual abuse scandal. Seacrest has denied the accusations. Late last year, both Judd and Sorvino (pictured together below on Oscar night) responded to comments made by Peter Jackson to New Zealand’s Stuff in which he said Harvey Weinstein told him the actresses were a “nightmare” to work with. It’s an assertion Weinstein himself has denied. Weinstein’s alleged blacklisting of the two actresses led to both of them missing out on roles in Jackson’s “Lord of the Rings” films because of negative things the disgraced movie mogul had said about them, according to the report. “I recall Miramax telling us they were a nightmare to work with and we should avoid them at all costs. This was probably in 1998,” Jackson said, referring to when he was pitching his ideas for the “Lord of the Rings” and “The Hobbit” trilogies. The filmmaker said that Weinstein’s credit on the movies is there because it had to be, not because he was involved with the movies he made, and once New Line took over, Miramax’s only involvement was distribution. 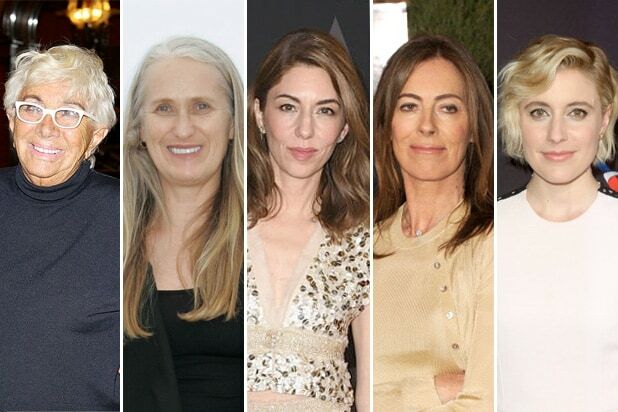 But Weinstein, through a spokesperson, denied that claim late last year, saying that Miramax “lost the project and all casting was done by New Line.” The embattled former movie executive, who was ousted from The Weinstein Company in October following a flood of sexual misconduct complaints, also said he was unaware of of any complaints or issues from either Judd or Sorvino.